قاسمی, احمدرضا, محمدی, محمد. (1394). تحلیل سه‌بعدی تنش‌های پسماند در نانوکامپوزیت‌های پایه پلیمری با الیاف تقویت شده توسط نانولوله‌های کربنی. علوم و فناوری کامپوزیت, 2(4), 23-30. احمدرضا قاسمی; محمد محمدی. "تحلیل سه‌بعدی تنش‌های پسماند در نانوکامپوزیت‌های پایه پلیمری با الیاف تقویت شده توسط نانولوله‌های کربنی". 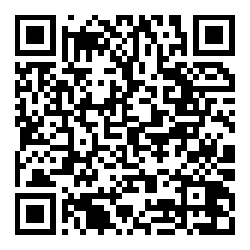 علوم و فناوری کامپوزیت, 2, 4, 1394, 23-30. قاسمی, احمدرضا, محمدی, محمد. (1394). 'تحلیل سه‌بعدی تنش‌های پسماند در نانوکامپوزیت‌های پایه پلیمری با الیاف تقویت شده توسط نانولوله‌های کربنی', علوم و فناوری کامپوزیت, 2(4), pp. 23-30. قاسمی, احمدرضا, محمدی, محمد. تحلیل سه‌بعدی تنش‌های پسماند در نانوکامپوزیت‌های پایه پلیمری با الیاف تقویت شده توسط نانولوله‌های کربنی. علوم و فناوری کامپوزیت, 1394; 2(4): 23-30. در این تحقیق به مطالعه توزیع تنش‌های پسماند در سلول واحد سه‌فازی شامل سه فاز رشته کربنی، نانولوله کربنی و ماتریس به‌شکل سه بعدی و با توسعه مدل دیسک دایره‌ای پرداخته شده است. توزیع تنش‌های پسماند سلول واحد در هر یک از فازها، با استفاده از دو روش المان محدود و حل تحلیلی، انجام شده است. ضریب انبساط حرارتی هر یک از دو فاز رشته کربنی و نانولوله کربنی، در راستاهای عرضی و طولی، به‌صورت متفاوت در نظر گرفته شده است و نحوه قرارگیری نانولوله‌های کربنی بر رشته کربنی با استفاده از روش الکتروفورز، به‌صورت موازی و به‌صورت حلقه‌گون بر رشته کربنی در نظر گرفته شده است. درصد حجمی رشته کربنی نیز به‌صورت یکسان و برابر با 60% در نظر گرفته شده است، لیکن توزیع تنش‌های پسماند، برای درصدهای حجمی متفاوت نانولوله کربنی شامل 0%، 1%، 2%، 3%، 4%، 5% و برای حالت دو‌فازی شامل رشته کربنی و ماتریس انجام و مقایسه شده است. توزیع تنش‌های پسماند شامل تنش‌های شعاعی، تنش‌های مماسی، تنش‌های طولی و مجموع تنش‌های اصلی در هر یک از فازها مطالعه شده است. در پایان مجموع تنش‌های پسماند حاصل از دو روش المان محدود و روش تحلیلی توسعه یافته، برای سلول واحد سه فازی با یکدیگر مقایسه شده است، که از مطابقت بسیار خوبی برخوردار می‌باشد. In this research, distribution of residual stresses in three-phase representative volume element (RVE) consisting of carbon fiber, carbon nanotube and matrix, as three dimensional has been determined. Finite element analysis and cylinder analytical model have been used to determination of residual stresses in every phase. Cylinder analytical model has been developed to three-phase RVE. Coefficient of thermal expansion has been considered differently at various directions in carbon fiber and carbon nanotube phases. Placement of carbon nanotubes has been considered parallel to carbon fiber and as ring around carbon fiber using electrophoresis method. Different volume fraction of carbon nanotube has been considered as 0%, 1%, 2%, 3%, 4% and 5% and distribution of residual stresses of different volume fraction was compared together, but volume fraction of carbon fiber is considered as constant equal 60%. Radial residual stress, tangential residual stress, axial residual stress and residual stress invariant have been determined in different phases. Results of residual stress invariant of two different analysis as finite element and cylinder analytical model have been compared in different phases that are in good agreement together. Ghasemi, A. R. and Shokrieh, M. M., “Development of An Integral Method for Determination of Non-uniform Residual Stresses in Laminated Composites,” In Persian, Iranian Journal of Polymer Science & Technology, Vol. 21, No. 4, pp. 355-374, 2008. Shokrieh, M. M. and Ghasemi, A. R., “Simulation of Central Hole Drilling Process for Measurement of Residual Stresses in Isotropic, Orthotropic, and Laminated Composite Plates, Journal of composite materials, Vol. 41, No. 4, pp. 435-452, 2007. Ghasemi, A. R. Taheri-Behrooz, F. and Shokrieh, M. M., “Determination of Non-uniform Residual Stresses in Laminated Composites Using Integral Hole drilling Method: Experimental Evaluation”, Journal of composite materials, Vol. 48, No. 4, pp. 415-425, 2014. Ghasemi, A. R. and Mohammadi, M., “Calculation of Calibration Factors for Determination of Residual Stresses in Fiber-metal Laminates Using Incremental Hole-drilling Method,” In Persian, Journal of the science and technology of composites, Vol. 1, No. 1, pp. 35-44, 2014. Mohammadi, M. and Ghasemi, A. R., “Applications of the Incremental Hole-Drilling Method for Measurement of Non-Uniform Residual Stresses in Fiber Metal Laminates”, In Persian, Modares Mechanical Engineering, Vol. 15, No. 6, pp. 335-345, 2015. Levin, I. M. Kaplan, W. D. Brandon, D. and Wieder, T., “Residual Stresses in Alumina-SiC Nanocomposites”, Acta metallurgica et materialia, Vol. 42, No. 4, pp. 1147-1154, 1994. Todd, R. Bourke, M. Borsa, C. and Brook, R., “Neutron Diffraction Measurements of Residual Stresses in Alumina/SiC Nanocomposites, Acta materialia, Vol. 45, No. 4, pp. 1791-1800, 1997. Shokrieh, M., “Residual Stresses in Composite Materials”, Woodhead Publishing, pp. 256-287, 2014. Quek, M., “Analysis of Residual Stresses in a Single Fibre–Matrix Composite”. InternationalJournal of Adhesion & Adhesive, Vol. 24, No. 5, pp. 379-388, 2004. Shokrieh, M.M. and Safarabadi, M., “Three-dimensional Analysis of Micro-residual Stresses in Fibrous Composites Based on the Energy Method: a Study Including Interphase Effects”, Journal of Composite Matrials, Vol. 46, No. 6, pp. 727-735, 2011. Shokrieh, M. M. Safarabadi, M. and Ghaanee, A. A., “New Three-dimensional Analytical Model to Simulate Microresidual Stresses in Polymer Matrix Composites”, Mechanics of Composite Materials, Vol. 48, No. 3, pp. 273-284, 2012. Jayaraman, K. and Reifsnider, K. L., “Residual Stresses in a Composite with Continiously Varying Youngs Modulus in the Fiber/matrix Interphase”, Journal of composite materials, Vol. 26, No. 6, pp. 770-791, 1992. Niak, R. A., “Simplified Micromechanical Equations for Thermal Residual Stress Analysis of Coated Fiber Composites”, Journal of composites technology research, Vol. 14, No. 3, pp. 182-186, 1992. 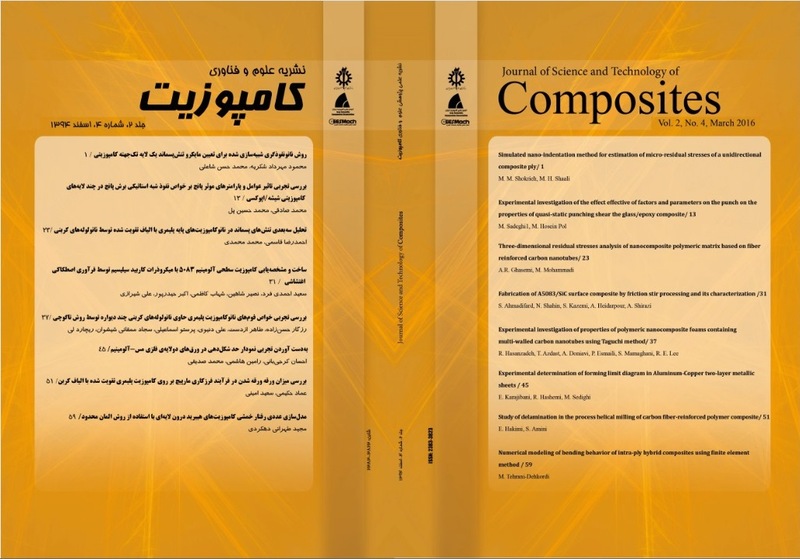 Ghasemi, A. R. Mohammadi, M. M. and Moradi, M., “Investigation of Mechanical and Thermal Properties of Polymer Composites Reinforced by Multi-Walled Carbon Nanotube for Reduction of Residual Stresses”, In Persian, Iranian journal of polymer science and technology, Vol. 27, No. 3, pp. 213-230, 2014. Gabr, M. H. Okumura, W. Ueda, H. Kuriyama, W. Uzawa, K. and Kimpara, I., “Mechanical and Thermal Properties of Carbon Fiber/polypropylene Composite Filled with Nano-clay”, Composites Part B: Engineering, Vol. 69, pp. 94-100, 2015. Ghasemi, A. R. Mohammadi, M. and Mohandes, M., “The Role of Carbon Nanofibers on Thermo-mechanical Properties of Polymer Matrix Composites and Their Effect on Reduction of Residual Stresses”, Composites Part B: Engineering, Vol. 77, pp. 519-527, 2015. Lubineau, G. and Rahaman, A., “A Review of Strategies for Improving the Degradation Properties of Laminated Continuous-fiber/Epoxy Composites with Carbon-based Nanoreinforcements”, Carbon, Vol. 50, No. 7, pp. 2377-2395, 2012. Haddon, R. C. Itkis, M. E. Bekyarova, E. and Yu, A., “Multiscale Carbon Nanotube-Fiber Reinforcements for Composites”, US Pattern No.7867468, 2011. Li, J. Wu, Z. Huang, C. and Li, L., “Multiscale Carbon Nanotube-Woven Glass Fiber Reinforced Cyanate Ester/Epoxy Composites for Enhanced Mechanical and Thermal Properties”, Composites science and technology, Vol. 104, pp. 81-88, 2014. An, Q. Rider, A. N. and Thostensoni, E. T., “Electrophoretic Deposition of Carbon Nanotubes onto Carbon-Fiber Fabric for Production of Carbon/Epoxy Composites with Improved Mechanical Properties”, Carbon, Vol. 50, No. 11, pp. 4130-4143, 2012. Otsuka, K. Abe, Y. Kanai, N. Kobayashi, Y. Takenaka, S. and Tanabe, E., “Synthesis of Carbon Nanotubes on Ni/Carbon-Fiber Catalysts Under Mild Conditions”, Carbon, Vol. 42, No. 4, pp. 727-736, 2004. Ismagilov, Z. R. Shikina, N. V. Kruchinin, V. N. Rudina, N. A. Ushakov, V. A. and Vasenin, N. T., “Development of Methods of Growing Carbon Nanofibers on Silica Glass Fiber Supports”, Catalysis today, Vol. 102-103, pp. 85-93, 2005. Rahaman, A. and Kar, K., “Carbon Nanomaterials Grown on E-glass Fibers and Their Application in Composite”, Composites Science and Technology, Vol. 101, No. 1, pp. 1-10, 2014. Rahaman, M. Zainuddin, S. Hosur, M. Malone, J. Salam, M. and Kumar, A., “Improvements in Mechanical and Thermo-Mechanical Properties of E-glass/eEpoxy Composites Using Amino Functionalized MWCNTs”, Composite Structures, Vol. 94, No. 8, pp. 2397-2406, 2012. Shazed, M. Suraya, A. Rahmanian, S. and Salleh, M. M., “Effect of Fibre Coating and Geometry on the Tensile Properties of Hybrid Carbon Nanotube Coated Carbon Fibre Reinforced Composite”, Materials & Design, Vol. 54, pp. 660-669, 2014. Shokrieh, M. Daneshvar, A. and Akbari, S., “Reduction of Thermal Residual Stresses of Laminated Polymer Composites by Addition of Carbon Nanotubes”, Materials & Design, Vol. 53, pp. 209-216, 2014. Hu, N. Qiu, J. Li, Y. Chang, C. Atobe, S. and Fukunaga, H., “Multi-Scale Numerical Simulations of Thermal Expansion Properties of CNT-Reinforced Nanocomposites”, Nanoscale research letters, Vol. 8, No. 1, pp. 1-8, 2013. Ghasemi, A. H. and Mohammadi, M., “Development of Circular Disk Model for Polymeric Matrix Nanocomposites”, Accepted for publication in Journal of Computational Methodes in Enginnering,.